Mike Case and I installed Bluster on August 25 at 7:00 pm. Then on September 3 at 10:00 am, 8 days and 15 hours later, I took the installation down. 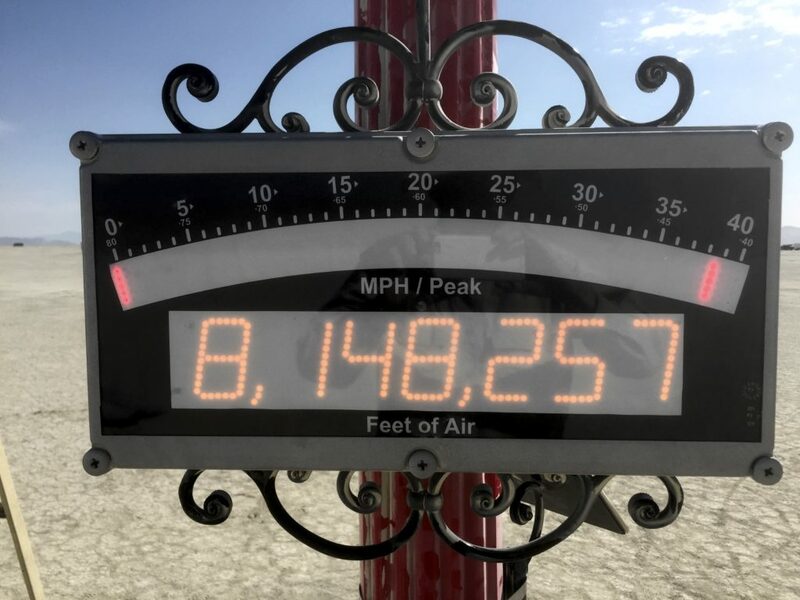 During that time, the column of air that blew by was 8,148,257 feet long. The top wind speed recorded was 38.5 MPH.